NCT Jeno, started the birthday ad project. 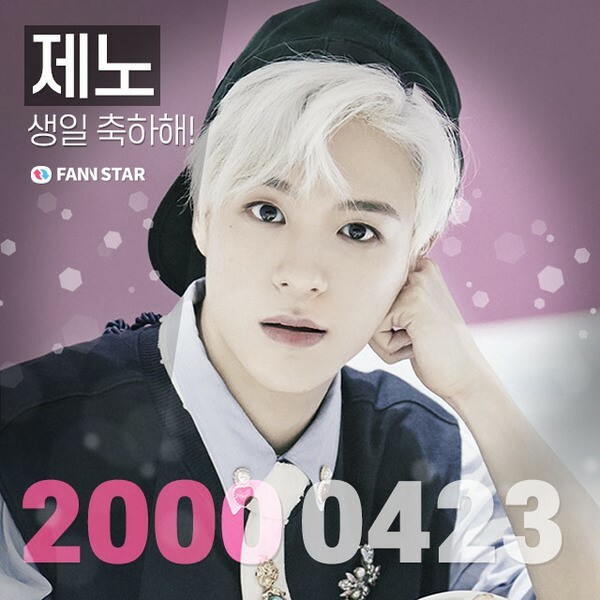 FAN N STAR began supporting the group's NCT Jeno's birthday on 29. It's a big project that's completed with the collaboration of fans who love FAN N STAR and Jeno. If Jeno's birthday project on the Korean site is reached with more than 400,000 stars, advertisements for the Travel Bus will also be conducted. If you reaches 600,000 stars, will receive congratulatory videos on the Apgujeong CGV screen, as well as showing video clips of the electronic display board at 43 stations on Seoul Subway Line 2. If the number of stars reaches 900,000, advertising sites will be expanded to Hongdae Station Multivision. Previously, FAN N STAR opened Jeno's birthday project on March 23 last year. It was achieved 100 percent with enthusiastic support from fans and a video of Jeno's birthday was screened at an electronic display board near Shin-Okubo Station in Tokyo. Attention is focusing on whether Jeno will be able to receive the surprise birthday gift prepared by his fans following last year.